The Starrett Company offers precision measuring tools that are individually inspected to specific standards and we offer calibration services to meet your requirements for documentation of new or in-service measuring tools. Every business has its own measurement standards. Whatever the paper trail systems are, true quality can only be measured to specific standards and Starrett is ready to help. For information on the Starrett Company and their commitment to providing quality products, for over 130 years, visit their website. Precision Tools, Gages & Instruments. 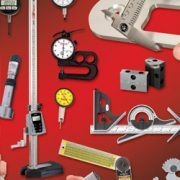 The broad Starrett product Line includes over 5000 products including precision tools (micrometers, calipers, rules etc. ), tape measures, levels, electronic gages, dial indicators, gage blocks, granite surface plates, optical measuring projectors, and vision systems. Much of the Company's production is concentrated in hand measuring tools and precision instruments that manufacturing companies from small machine shops to Fortune 500 firms rely on for their employees. To view the complete range of Starrett Tools & Gages click here. Starrett Metrology Products - a total solution provider. With Starrett Metrology products the system is only a part of the whole package. From application assistance, system analysis, system specification, installation, training and post-installation field service, the excellence of Starrett products is matched by the quality and comprehensive range of services. For information on Starrett Metrology Systems, click here. To discuss your specific requirements please contact Marsh at products@marshinst.com . For complete product data and application assistance, please select your area of interest from the side panel to view our complete product offering.